Printing books has never been easier! 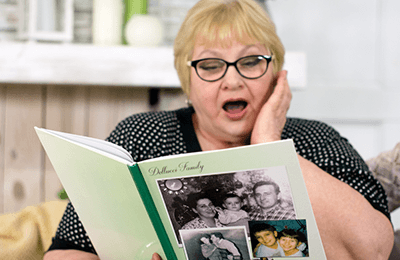 With KIC's new Print On Demand functionality, patrons can quickly and easily order printed books of photo albums, scrapbooks, photos, recipe cards, book excerpts, loose papers, newspaper & magazine articles, and more. 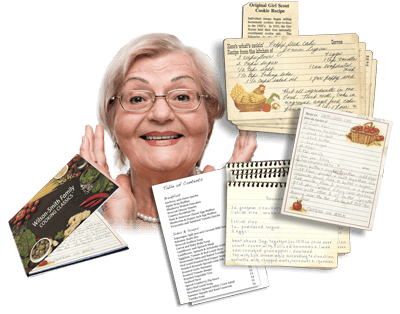 Clip, crop, rearrange pages and then choose the kind of book, pages and quantity desired. Order your original book(s) using KIC's simple "shop-online" interface to find the best value and pay with your credit card. Your books will be printed, packaged and shipped to you within days! KIC makes adding annotations and emojis to any page simple. 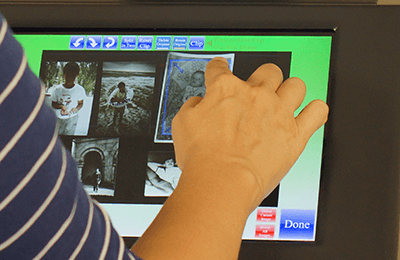 Start by using a KIC station at your library to scan materials (photographs, magazines, albums, maps,...) Then touch the "ANNOTATIONS" button on the touch screen to see everything you've scanned on screen. Now just touch the desired editing tab and add annotations, emojis, frames to any or all pages. Select any emoji or any clip from the clipboard and drag it to the main page. Resize, rotate, and move it anywhere you like. You can move more emojis and frames to the same page, add annotations, and reposition until you're happy with the layout. 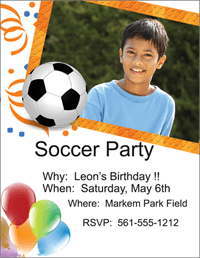 In the example below, we scanned a simple photo of Leon and then added emojis and annotations to make a soccer party invitation that can be saved as a PDF and stored for emailing and/or printing. Any emoji or clip can be selected and rotated, resized, copied, and repositioned until you're satisfied with the results. When you're ready, just press "Publish". 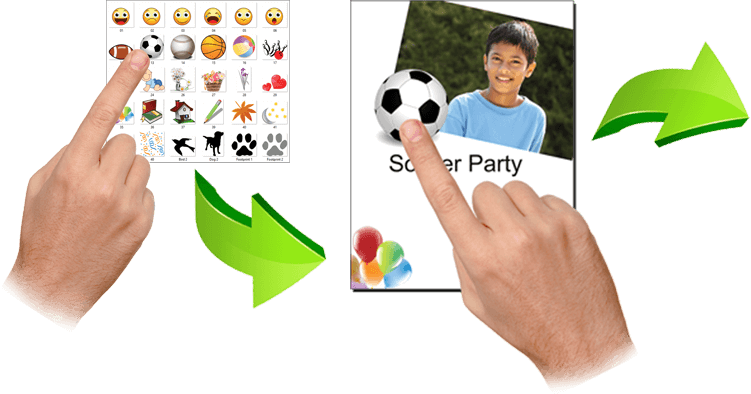 Scan with KIC and modify pages by adding emojis using the gestures illustrated below. 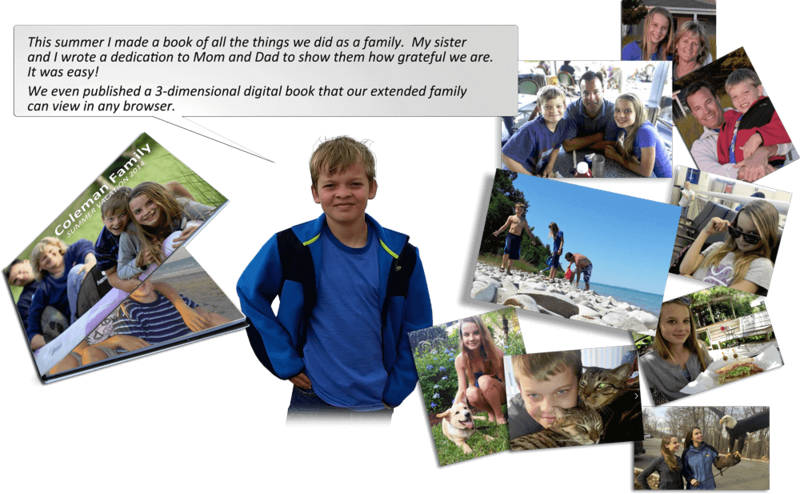 Add and manipulate boxes, arrows, characters and frames to enhance page layouts. Place lines, rectangles, and circles anywhere on the page. Resize frames around objects or fill shape(s) with color and use them as a background for annotations. A title annotation was added in blue along with a smaller subtitle in black. Also a black line emoji was placed and stretched to make borders along the top and bottom of the photograph. 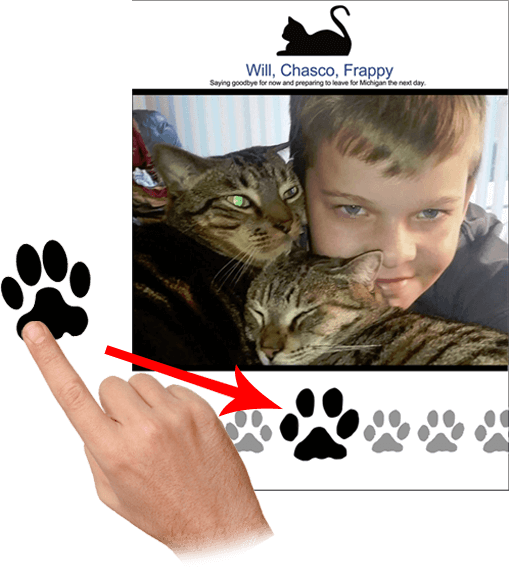 In addition, paw emojis were selected and moved to the image, resized, and placed in a line along the bottom of the page to add an accent that complements the content of the photo. Title, subtitle and date annotations were added to describe the photo content. Agree circle was added and an annotation was placed on top of it for greater impact. In addition, a colorful frame was placed around the photo. Before the digital age, tens of billions of print photos were created. Making photos then was not so easy as it is now. Print photos are typically very precious. All across America, these print photos are locked away in drawers and in boxes in closets and cabinets. Your library can solve this problem at essentially no cost. 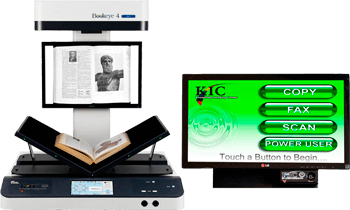 By redirecting copier budget money to acquire at least one KIC system, your library can add fast and easy digitization, the modern green alternative to copying. 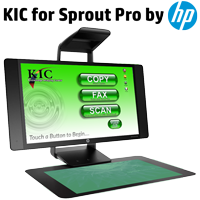 KIC can create paper copies and send faxes, and it meets all the digital age needs of your patrons. With KIC, patrons can bring in their vital records, their tax documents and other financial records, and their print photos, and create digital records and archives. Thousands of photos and tens of thousands of documents can be stored on USB flash drives for a few dollars each. 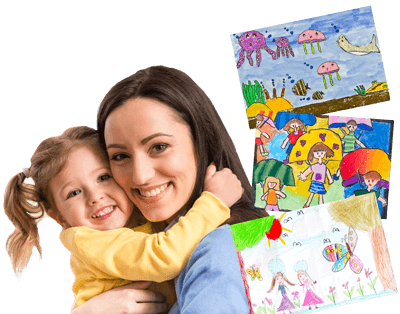 Safeguarding important documents and special memories has never been so easy or effective. It makes sense that the community library provide this vital service. In addition, KIC provides an amazing new service for your library patrons. 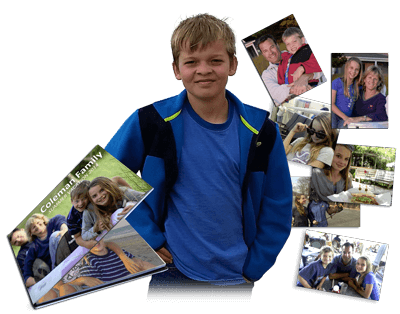 Using its huge 24 inch touch screen and KIC Composer, virtually anyone can scan photos, birthday cards and memorabilia and digitally create very special digital scrap books and even order printed books, color glossy hardback, perfect bound or stapled. And KIC uses a marketplace to ensure that prices are reasonable. Create Their Own Books Too! Find your treasure trove of memories and take them to your local library! 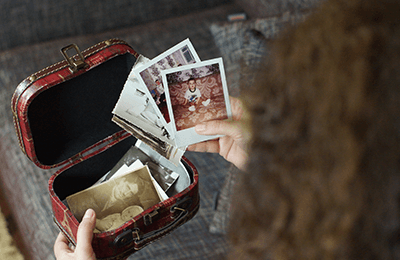 It’s time to bring those precious memories alive. 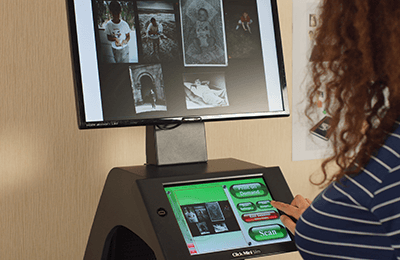 Scan - place your photos on a KIC scanner and press SCAN to quickly and easily produce digital images of your photos in just seconds. 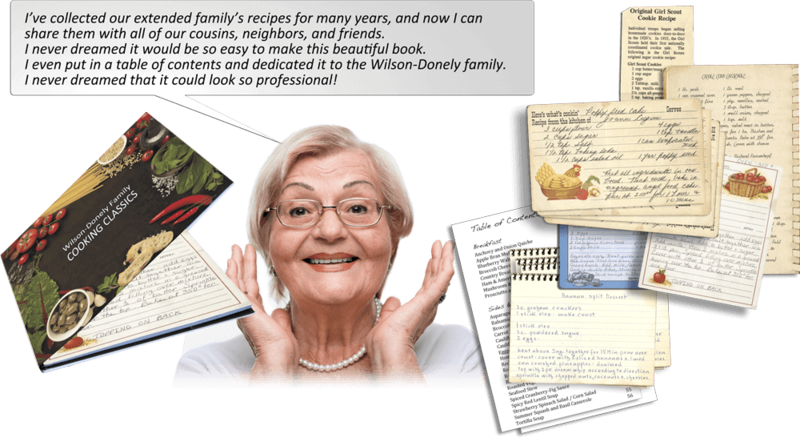 Design - layout the pages of your book. All photos can be moved independetanly of each other. Move photos, change their positions, rotate, resize, re-order, add annotations, emojis, borders and more! SHARE the excitement! 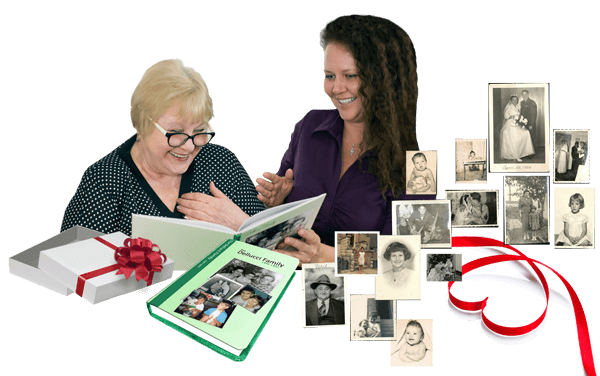 Give your book as a gift to family members, keep a copy for your coffee table or with your family historical documents, and share the richness of your family history! What Kind of Book Will You Create Today? 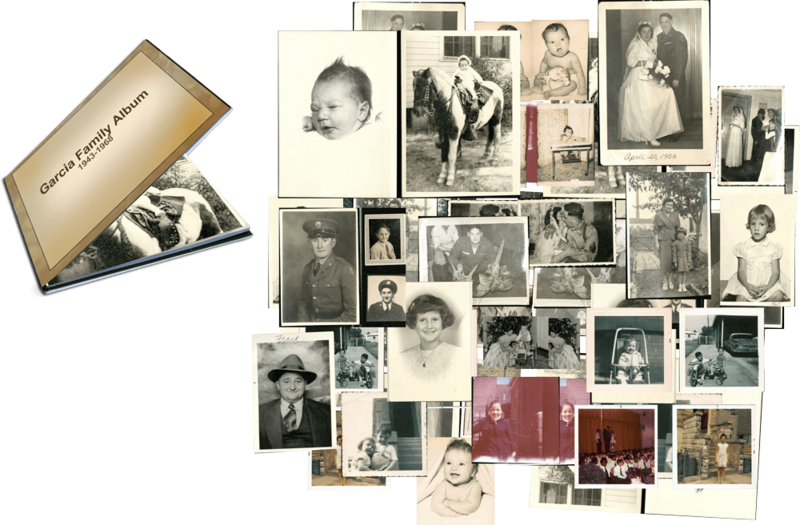 Scan your family photos and save them from fading and decaying. 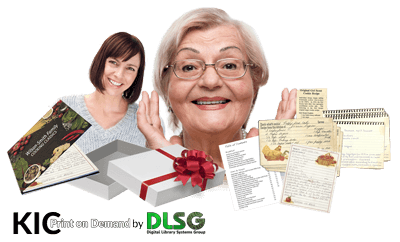 Annotate, clip, crop, add subtitles, dates, names, and comments to preserve your family history for future generations. 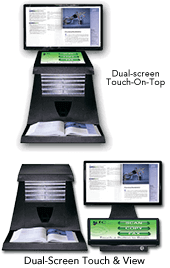 It can all be done in a few hours at your public library with KIC’s POD feature - Print on Demand! With KIC in your library, instructors are no longer restricted to a single text book. They can assign many excerpts from many books without adding to the students' already high cost of text books. 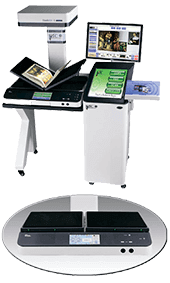 In the U.S. alone, DLSG book scanners are on 800 college and university campuses, including most of the top 100 and nearly all large campuses. With the introduction of the KIC Click Mini, KIC BookEdge and KIC for Sprout Pro by HP, KIC is now affordable for virtually all institutions of higher learning and full-service public libraries. 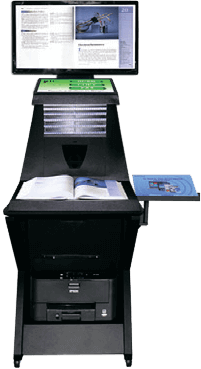 Last decade, libraries typically 'added' several KIC book scanning kiosks for patron, student, faculty and researcher use, but since 2010 libraries have begun to replace their entire patron-use copier fleets with self-serve book scanning systems. Copyright © 2018 Image Access, Inc. All rights reserved.